Updates to Kimberly Dee's profile since your last visit are highlighted in yellow. Supervisor @ Handyman Ace Hardware. Hello fellow classmates. Hope all is well with each and every one of you! Kimberly Dee Rice Daugherty has a birthday today. Kimberly Dee Rice Daugherty changed profile picture. 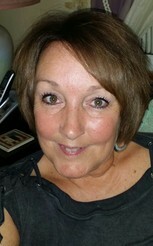 Kimberly Dee Rice Daugherty updated profile. View.